A new online Urban music resource to engage 12-18 year olds is due to be launched in September by Charanga with the aim that every young person can take part, so helping to reach young people … read the rest. Charanga will be giving a presentation on its guitar and ukulele-related products at the European Guitar Teachers Association (EGTA) on Tuesday 13 August 2013, as part of EGTA’s two-day 24th Annual Conference, at Queen Margaret’s School, … read the rest. 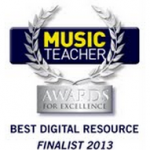 A new video showing what’s inside Charanga Musical School, which was nominated by Music Teacher magazine for the Best Digital Resource in its Awards For Excellence 2013, can be seen, along with information about CPD and … read the rest. A warm welcome from Charanga to new partners, the East Sussex Music Service, North Somerset Music Service, Gateshead Schools Music Service and Music Generation Louth in Ireland. 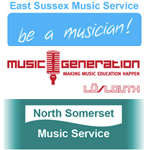 Music Generation Louth is a new music service for the county. It … read the rest. 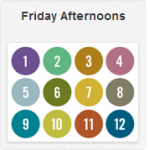 All six units, containing 12 songs from Benjamin Britten’s “Friday Afternoons” are now available free to download. Each song has scores for 22 instruments, superb variable accompaniments in different genres, lesson plans, assessment and extensions activities. … read the rest. The July issue of Music Teacher magazine features an interview with Mark Burke, one of the founders and Directors of Charanga, giving an overview of some of the current developments as well as giving background to … read the rest. Max Wheeler, who developed Charanga’s Hip Hop Coach (and, along with Alex Dalton from the East Sussex Music Service, Charanga Musical School’s Hip Hop Unit of Work), has just released an EP to great reviews in … read the rest. Kim Chandler is the female singer you can hear on all Charanga Musical School units and on many of the songs throughout the Charanga resources. 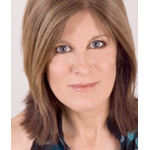 She is one of the UK’s top contemporary vocal coaches and … read the rest. 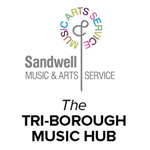 Sandwell Music and Arts Service and The Triborough Music Hub, the latter consisting of the former music services in the City of Westminster, London Borough of Hammersmith & Fulham, and the Royal Borough of Kensington & … read the rest. 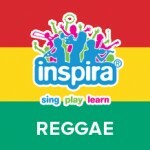 Zootime, a reggae song for children, is a new resource that has been added to Charanga Musical School and Charanga Music World Professional. 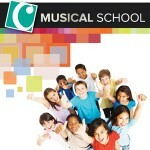 As well as learning to sing, play, improvise and compose with this song, children … read the rest.